Very few issues unite policy thinkers on the left and right these days. Yet, guaranteed basic income, GBI, is one that does. GBI has been endorsed by left-wing Silicon Valley billionaires like Mark Zuckerberg and Elon Musk, and by right-wing public intellectuals like Charles Murray. 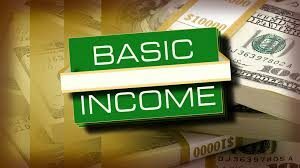 GBI goes by various names including universal basic income, but the idea is the same. Government will send everyone below a certain income level a check to get that individual up to a reasonable middle-class standard of living. The idea has been around since Thomas Paine proposed it in 1797. Ancient versions include the bread dole of the Roman Empire ridiculed by the poet Juvenal as “panem et circenses,” (bread and circuses). The 21st century version rests on the idea that robots will soon take most jobs (except those of the elites), and that economic returns to capital versus labor strongly favor capital resulting in extreme income inequality. Most importantly, the issue is not going away — you’ll be hearing a lot about it. GBI promises to be at the top of the political agenda for years to come.